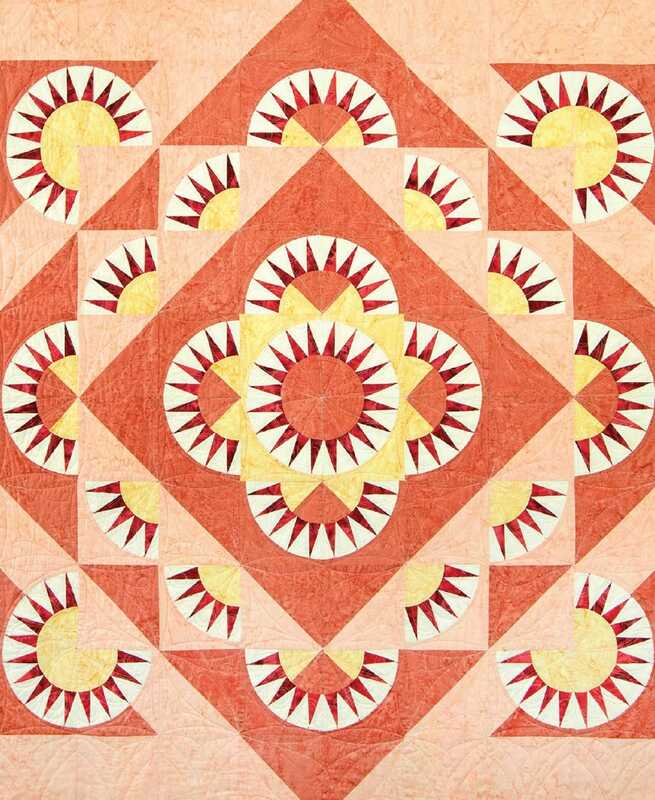 Lancaster, PA — New York Beauty quilts were introduced in America the mid-1800s when the textile industry was booming with new fabrics, giving quilters the freedom to explore complex, geometric patchwork designs. Since then, the energetic-looking design—named after the Statue of Liberty’s crown—has evolved. But the motif’s sharp points and technically challenging curved seams have remained steadfast through the years. To this day, it remains a beloved block and also a topic of interesting quilt history. 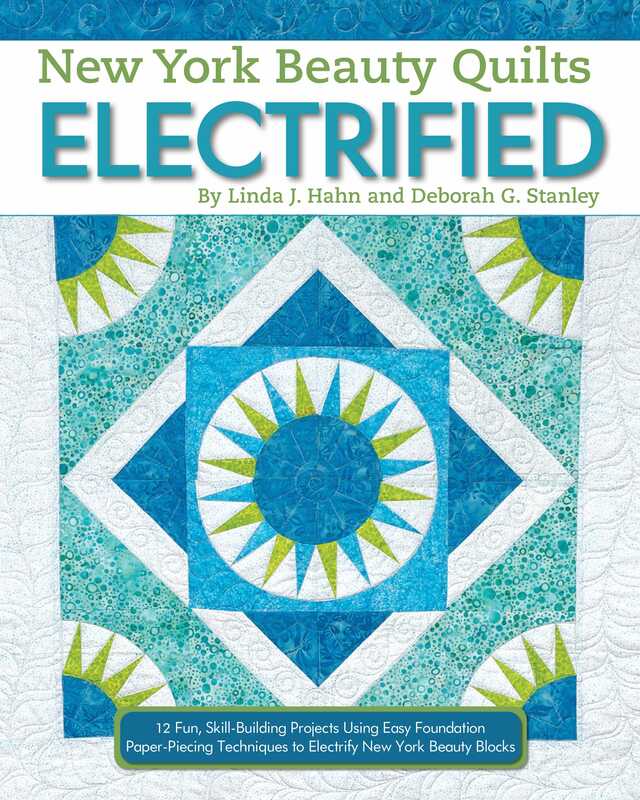 Hahn has teamed up with quilter Deborah G. Stanley on New York Beauty Quilts Electrified. Stanley’s specialty is simple, easy-to-complete sewing and quilting projects, especially lap quilts and handbags. This pair, self-described as “besties,” are proud to share their time-tested New York Beauty techniques and patterns. You can catch this talented duo walking the show fl oors of a quilt show, teaching a course on New York Beauty blocks, or just in the middle of a disagreement on how to set the room’s temperature as they work on their next quilting projects together. Linda Hahn is currently touring the country sharing her New York Beauty techniques! Check her out at the following guilds and shows. 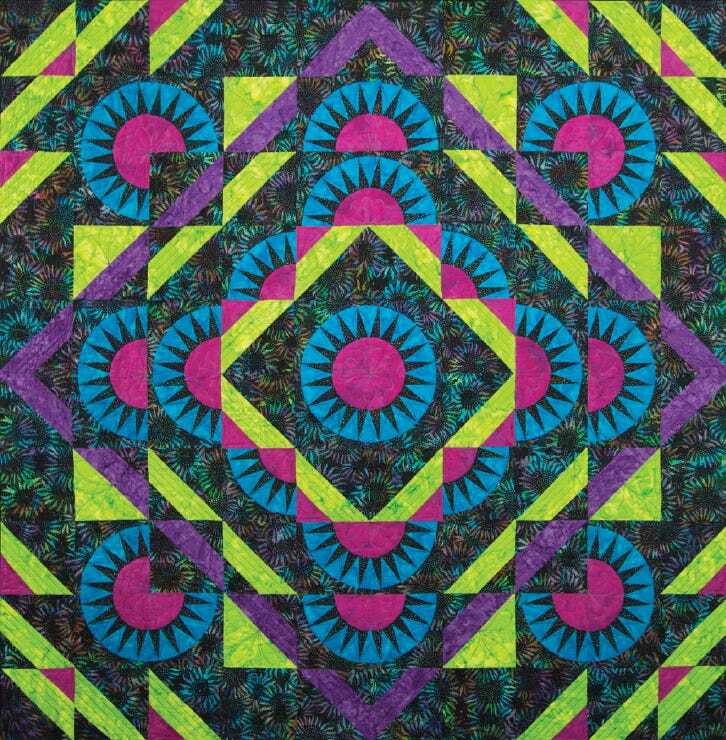 Linda J. Hahn is a National Quilting Association (NQA) Certifi ed Teacher and former NQA Teacher of the Year. Her bestselling quilting books have won multiple Independent Publishers Book Awards with Gold, Silver and Bronze Medals. Linda was named “New Jersey All Star Quilter” by the State Quilt Guild of New Jersey, and has been nominated three times for Professional Quilter Magazine’s Teacher of the Year Award. Linda designs quilt patterns for RJR Fabrics and Clothworks, Inc., and markets her own quilt patterns under the name Frog Hollow Designs. She actively lectures and presents workshops for shows and guilds throughout North America. 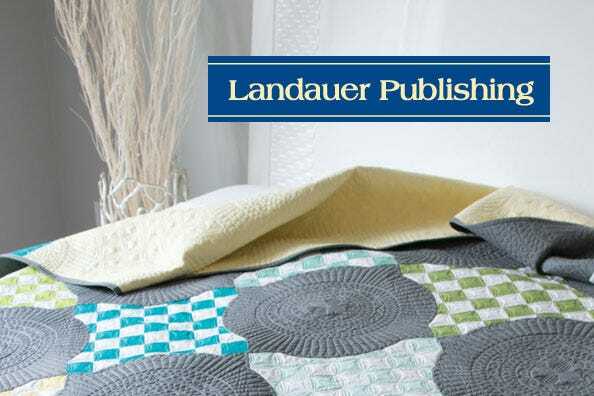 Landauer Publishing is an Imprint of Fox Chapel Publishing, and is managed by people passionate about books and about bringing high-quality inspirational and creative, technique and how-to publications to life.